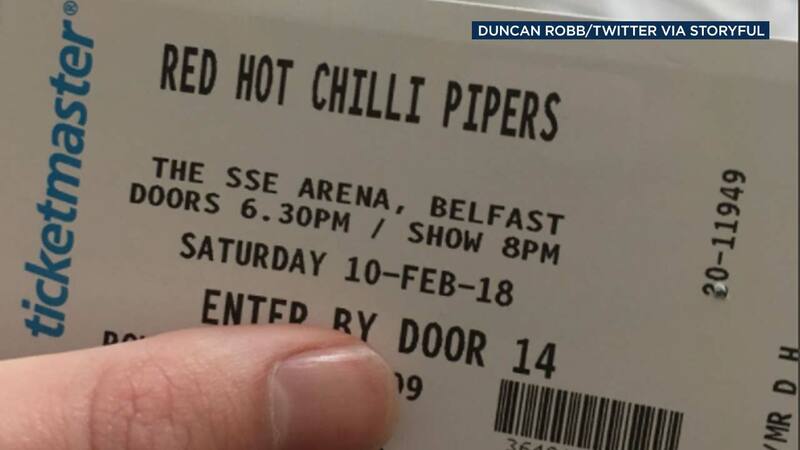 BELFAST, Ireland -- Duncan Robb had the best of intentions when he got tickets for his girlfriend's all-time favorite band, the Red Hot Chili Peppers; however, in the days before the concert, his other half had a hilarious realization. Unfortunately, Robb didn't buy tickets to see the Red Hot Chili Peppers but the Red Hot Chilli Pipers - "the most famous bagpipe band on the planet," or so their website claims. The pair went to the concert anyway and said they had a good time. The couple hopes to see the real Chili Peppers in the future.